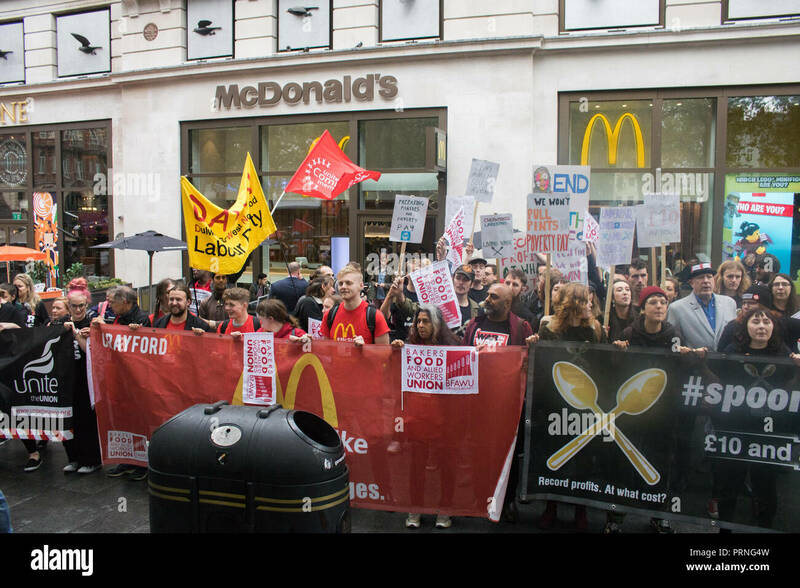 Protesters seen holding banners and flags outside Mc Donalds during the protest. 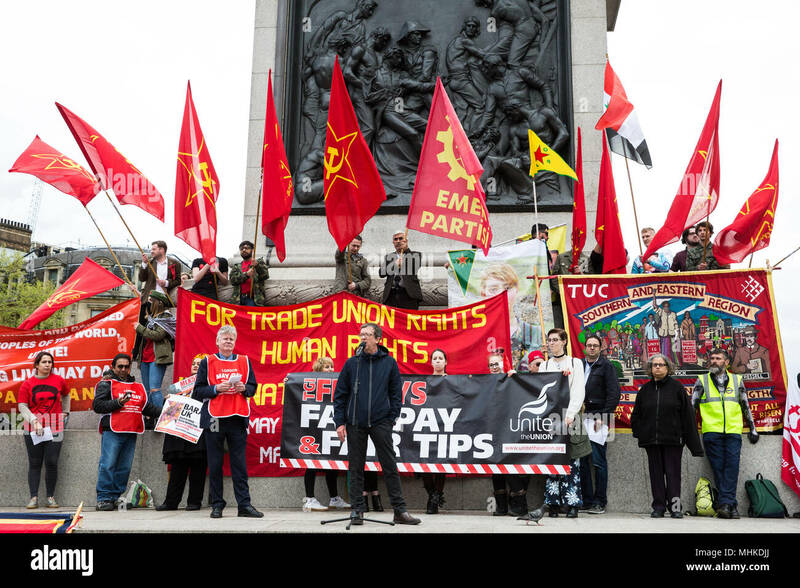 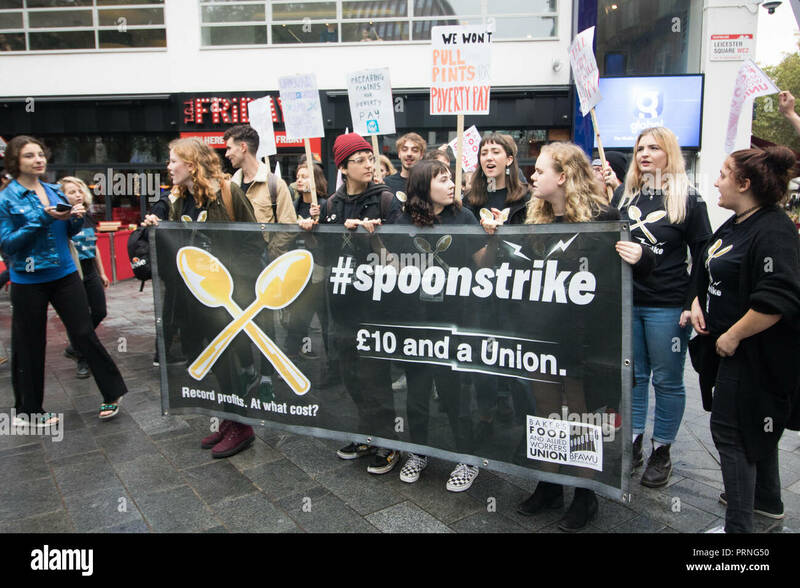 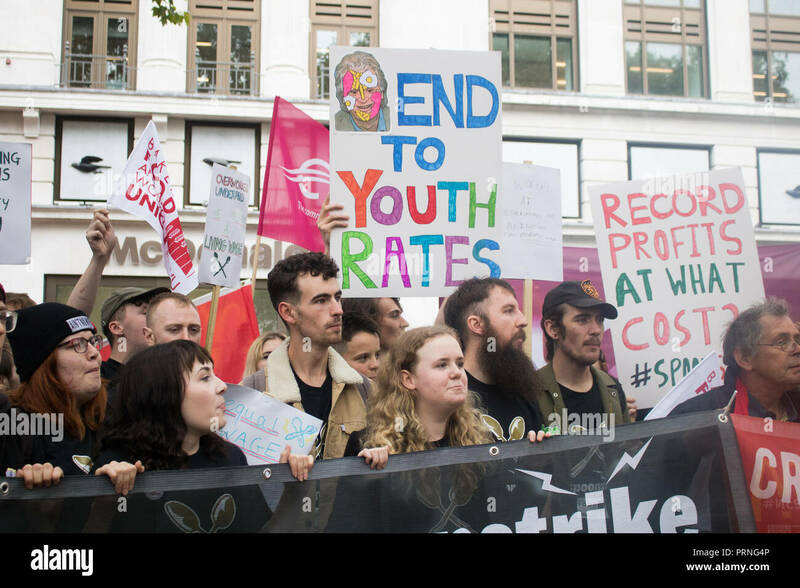 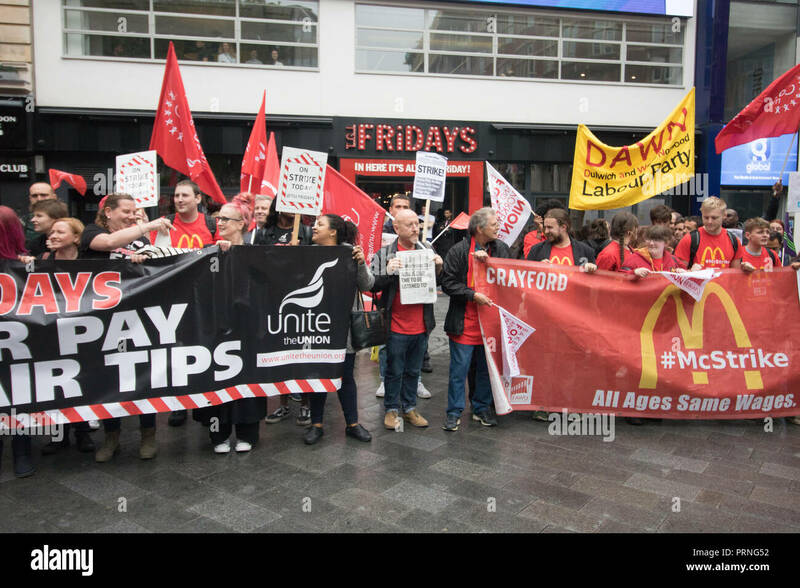 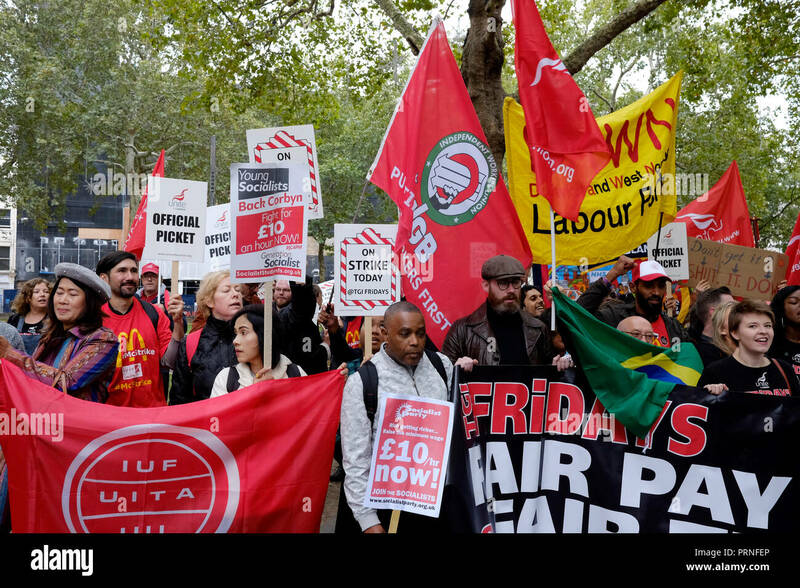 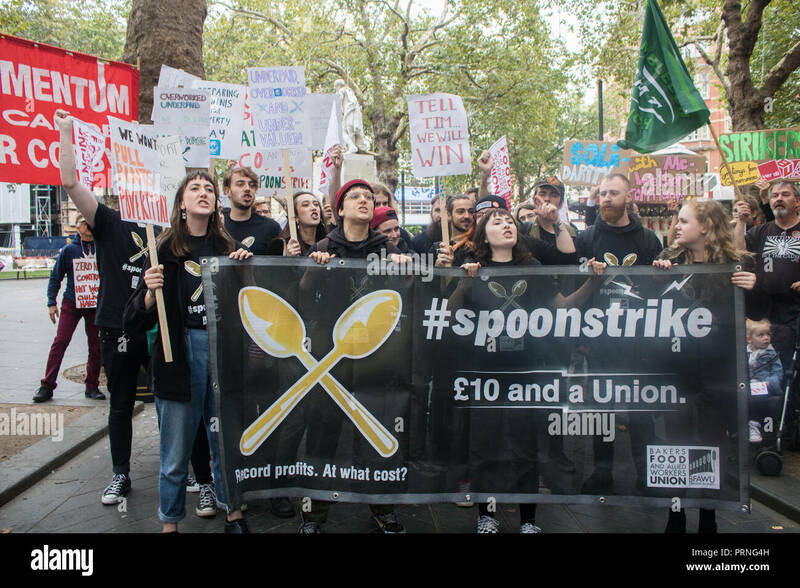 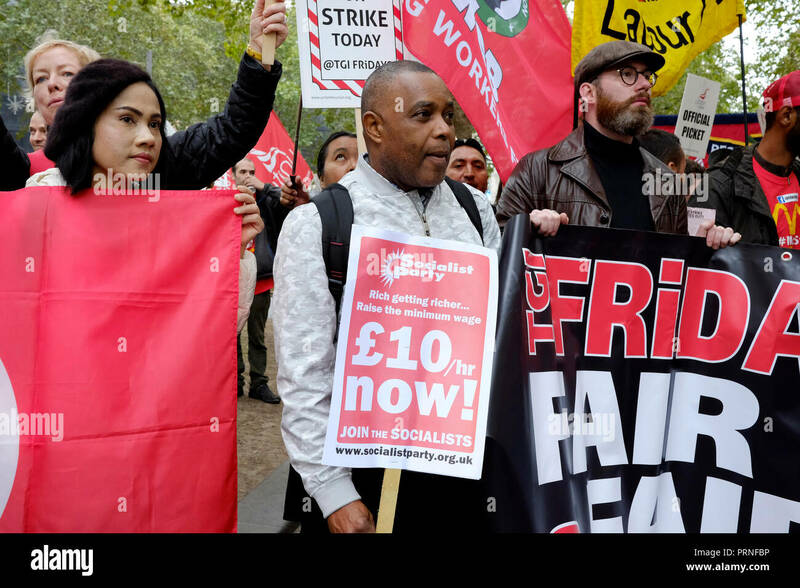 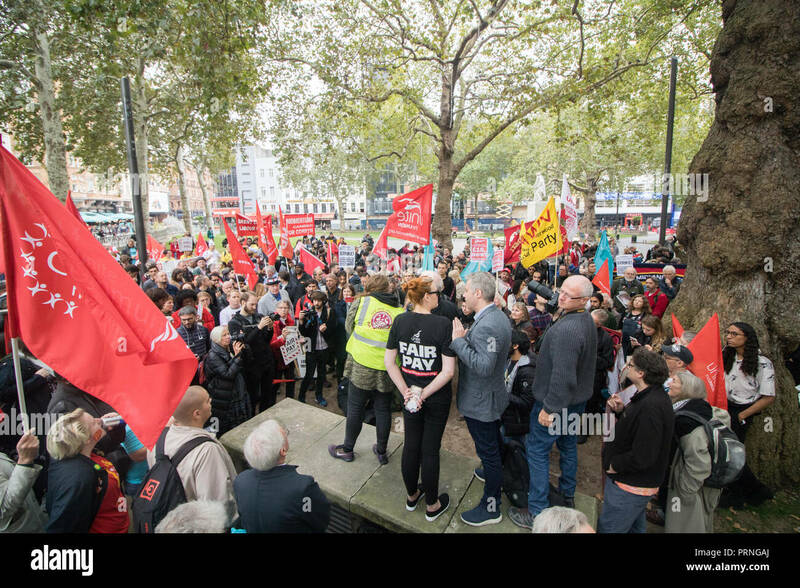 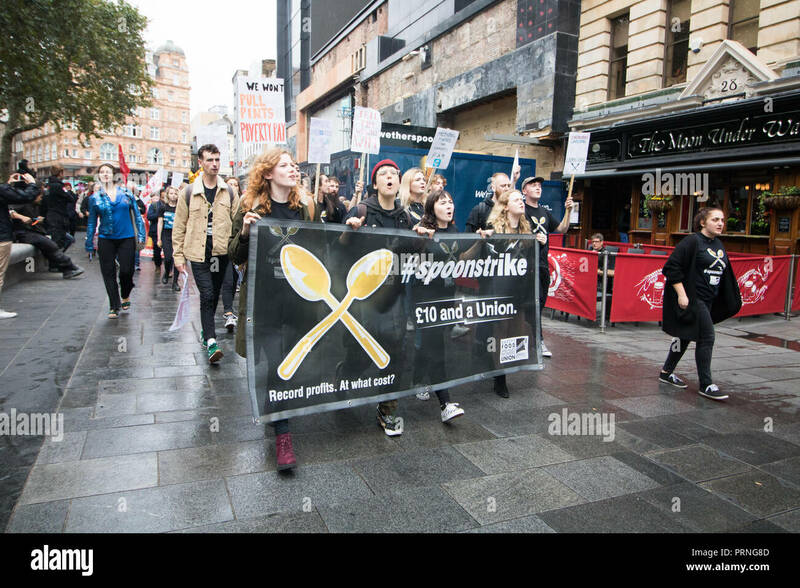 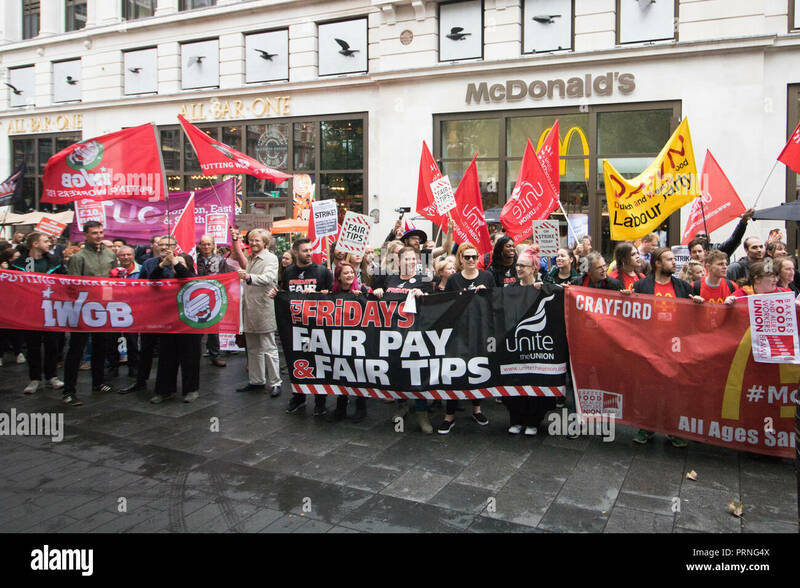 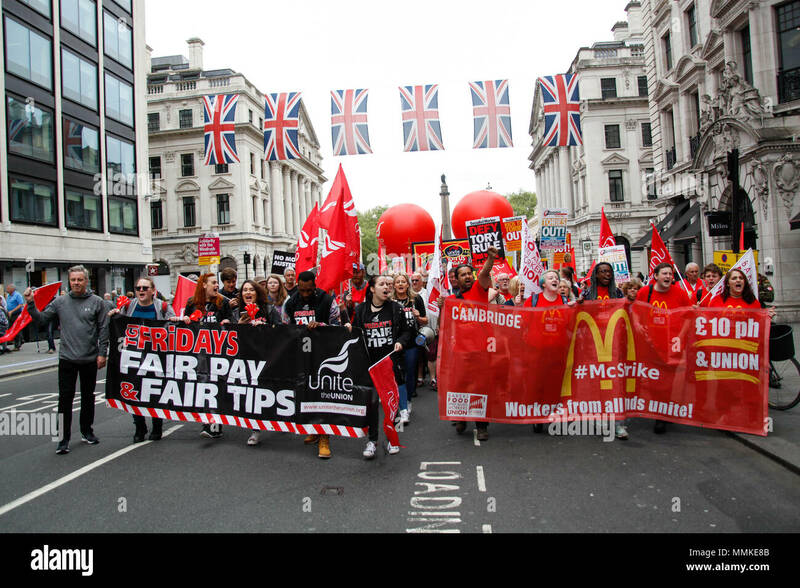 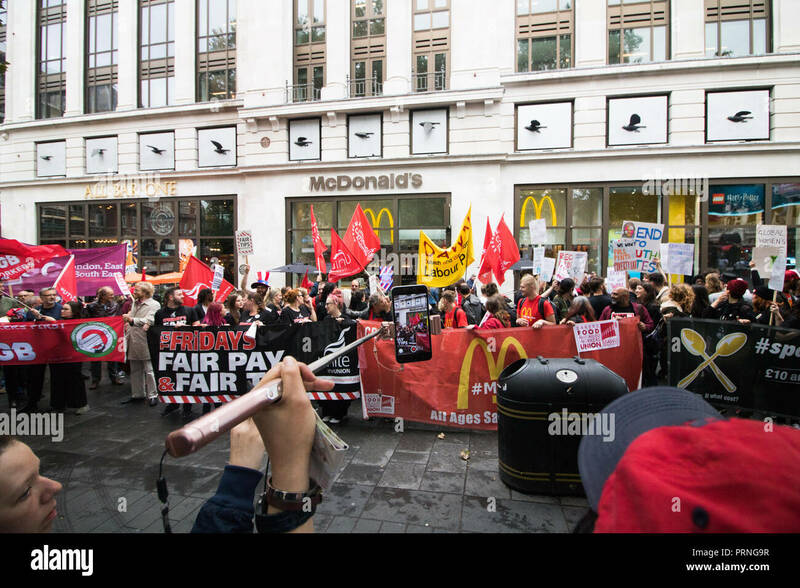 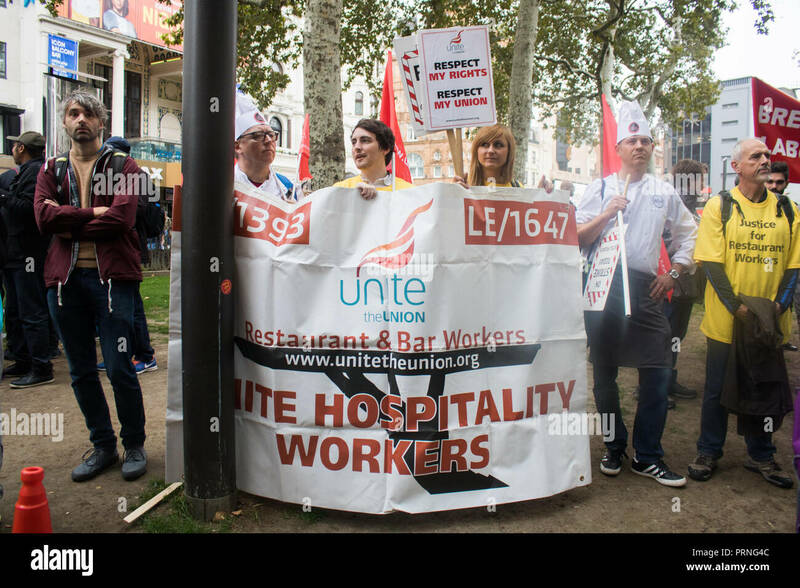 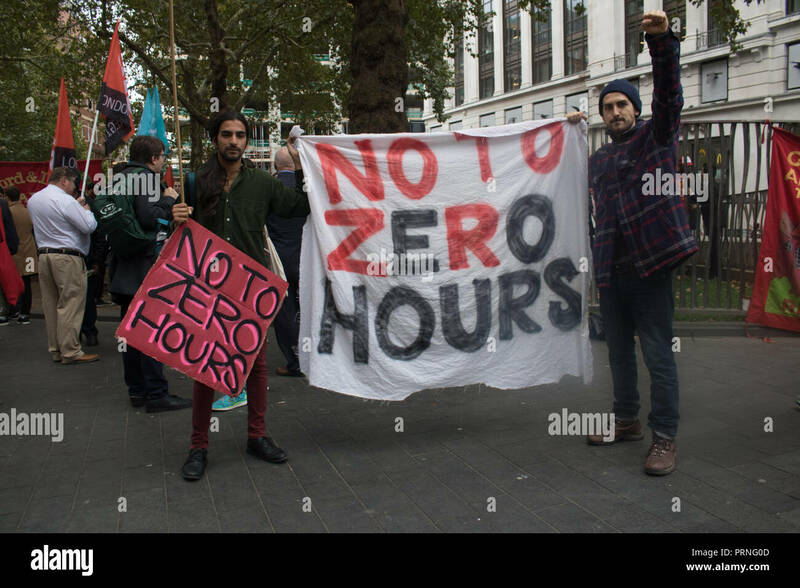 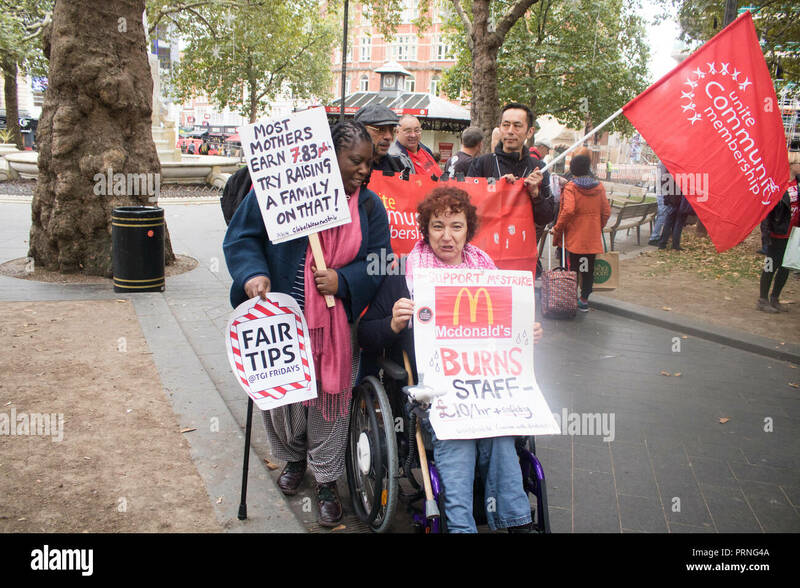 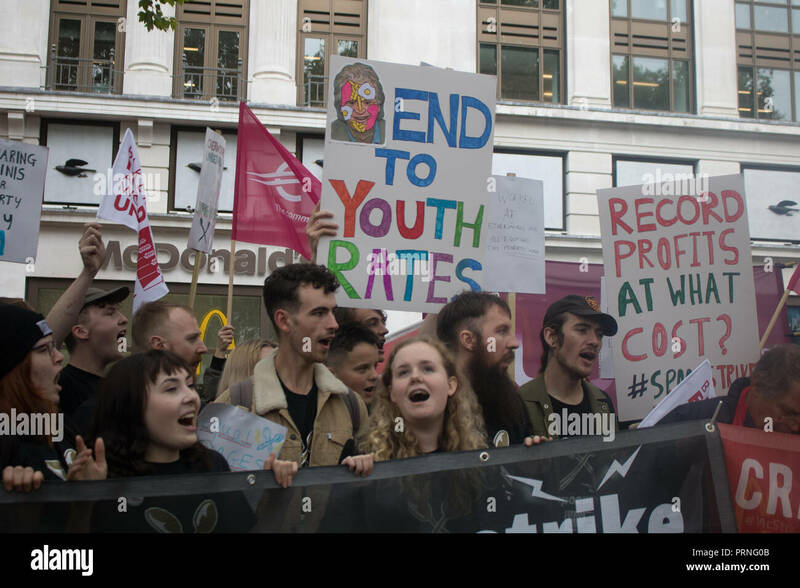 Wetherspoons, TGI Fridays, and McDonald's workers rally together in London to demand better working conditions and a fair pay in the hospitality industry. 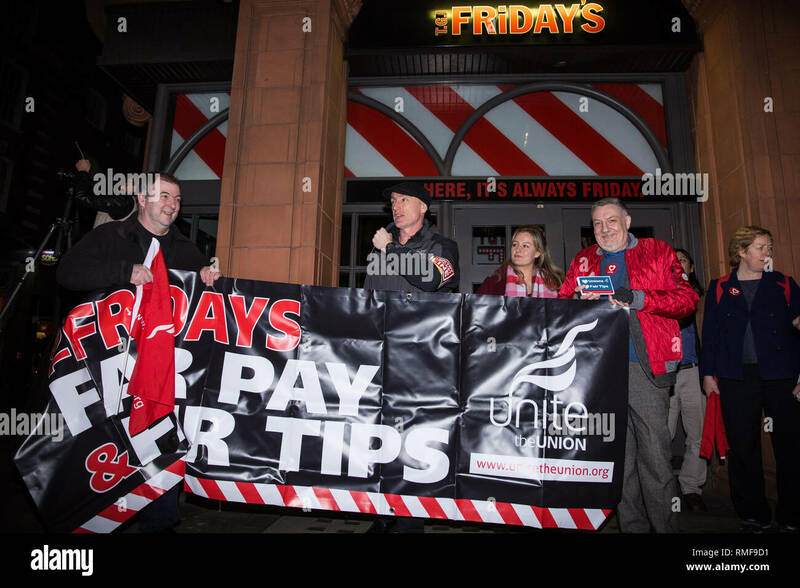 Protesters seen holding posters in front of a TGI Fridays during the protest. Wetherspoons, TGI Fridays, and McDonald's workers rally together in London to demand better working conditions and a fair pay in the hospitality industry. 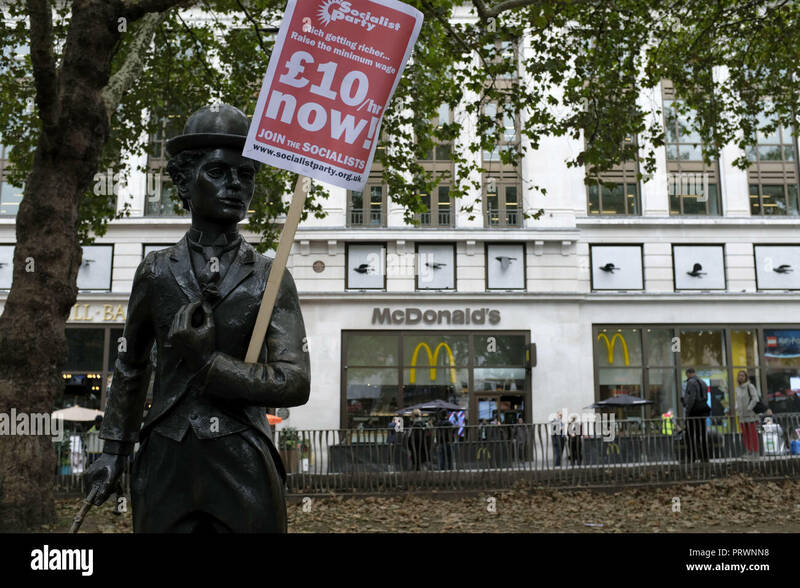 A Charles Chaplin sculpture seen holding a poster saying £10/hr Now! 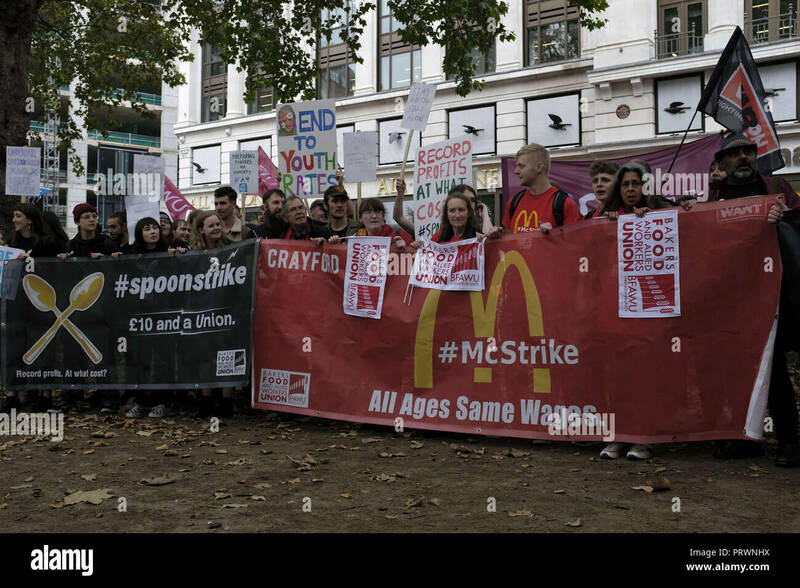 during the protest. 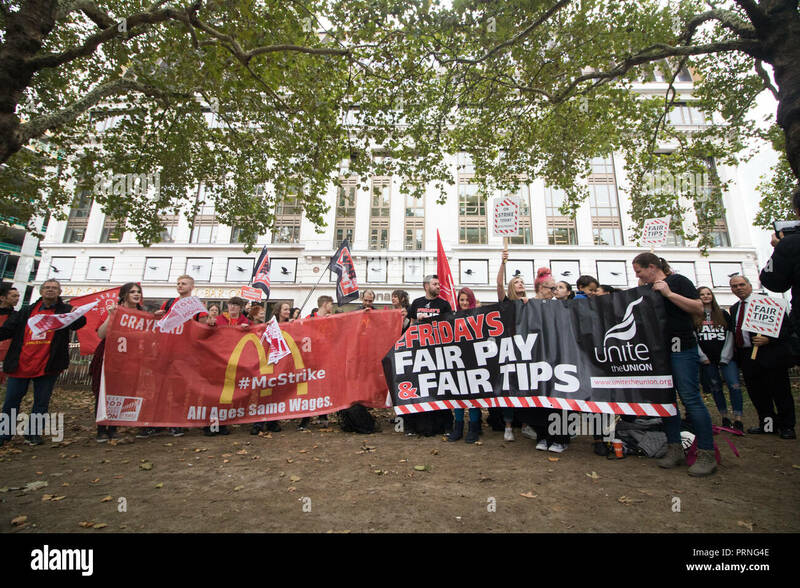 Wetherspoons, TGI Fridays, and McDonald's workers rally together in London to demand better working conditions and a fair pay in the hospitality industry. 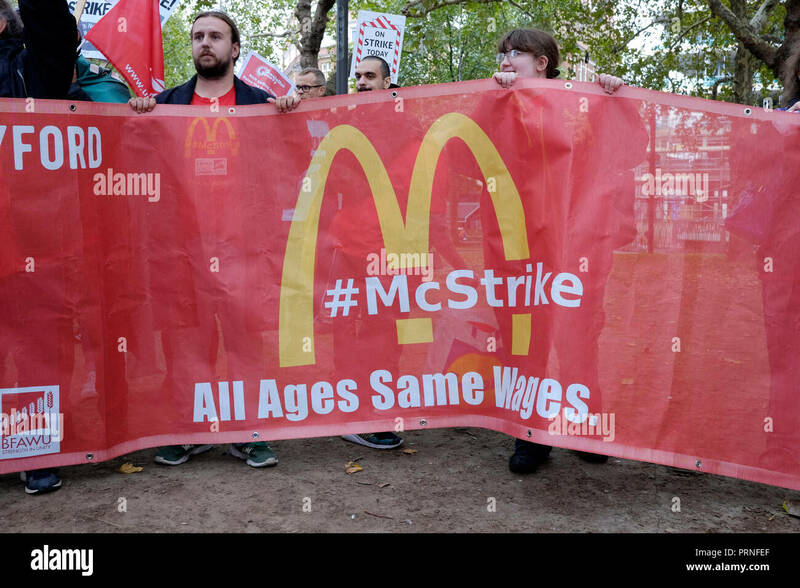 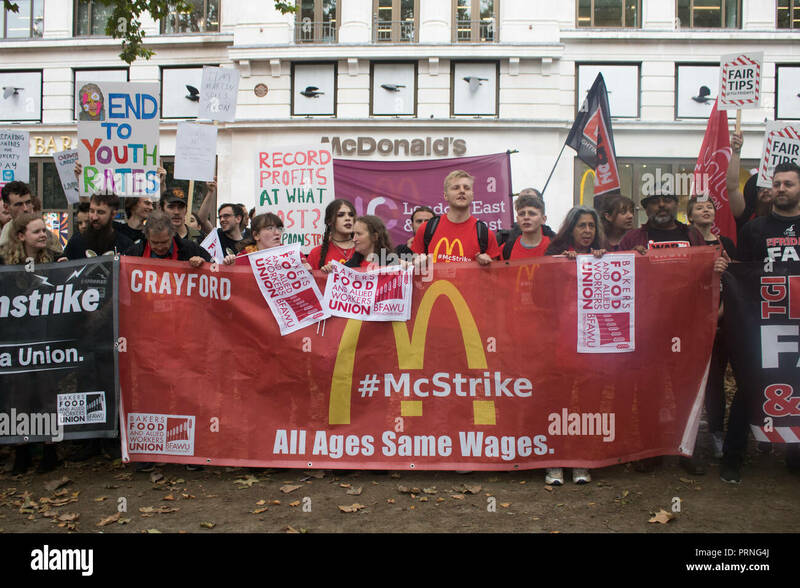 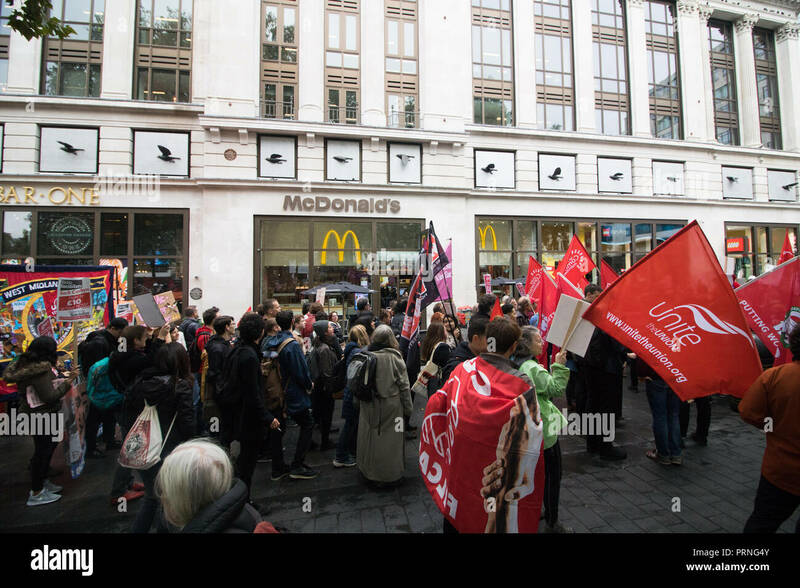 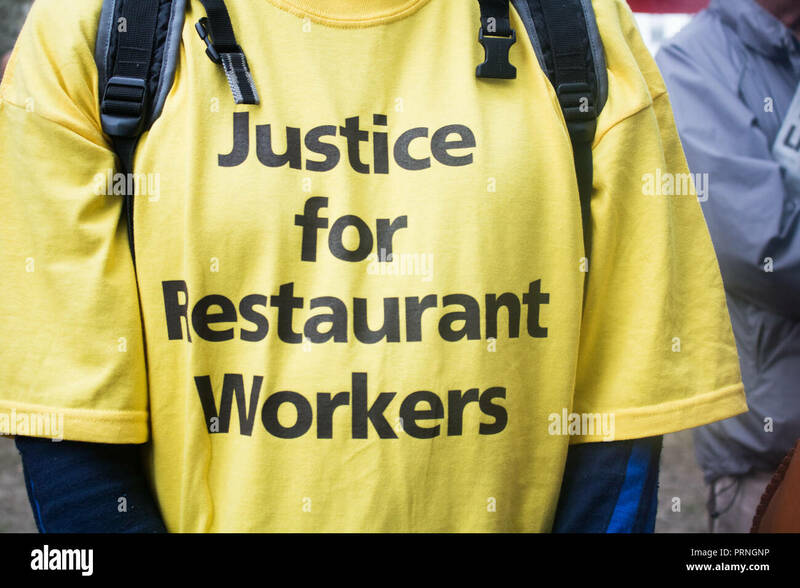 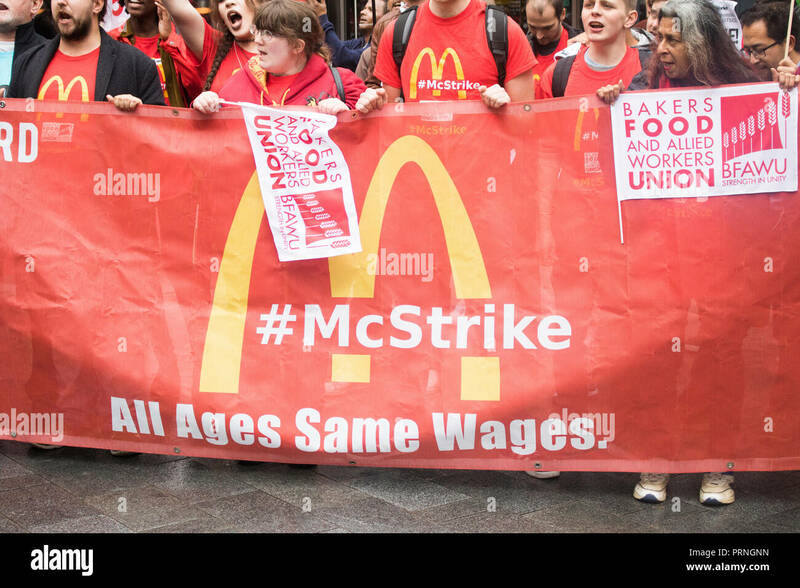 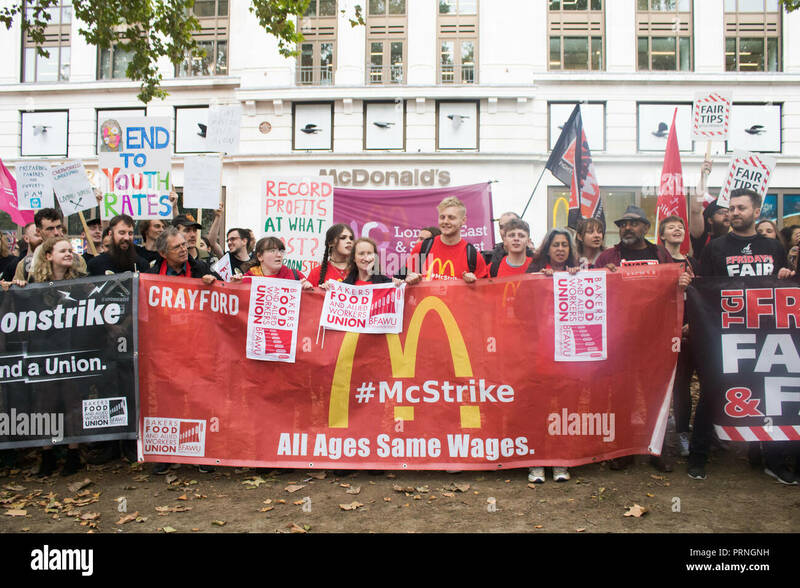 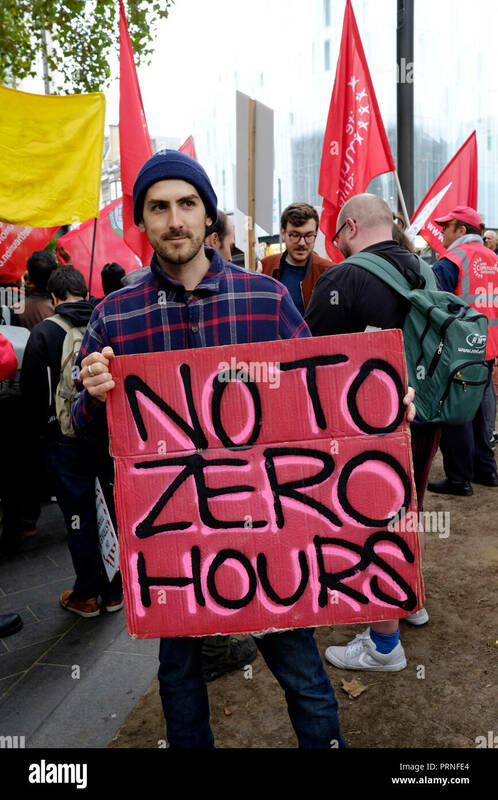 Fast food industry workers seen standing behind huge banners outside Mc Donalds during the protest. 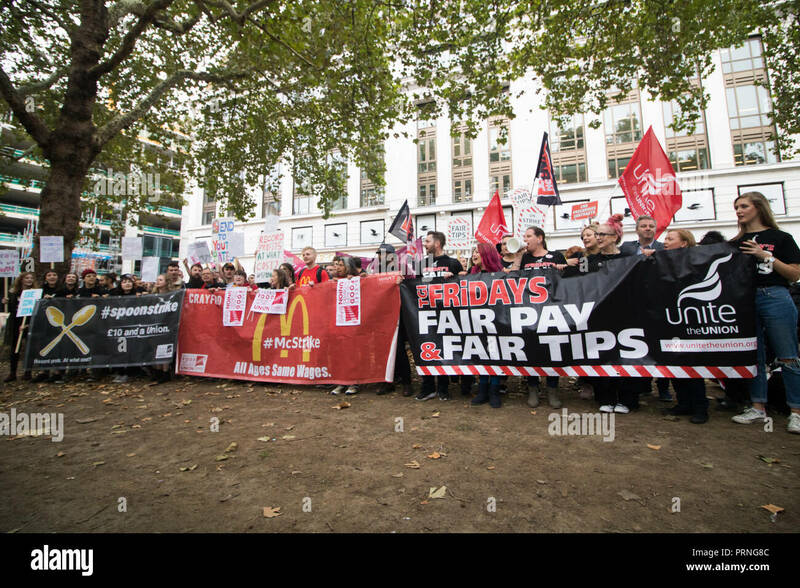 Wetherspoons, TGI Fridays, and McDonald's workers rally together in London to demand better working conditions and a fair pay in the hospitality industry. 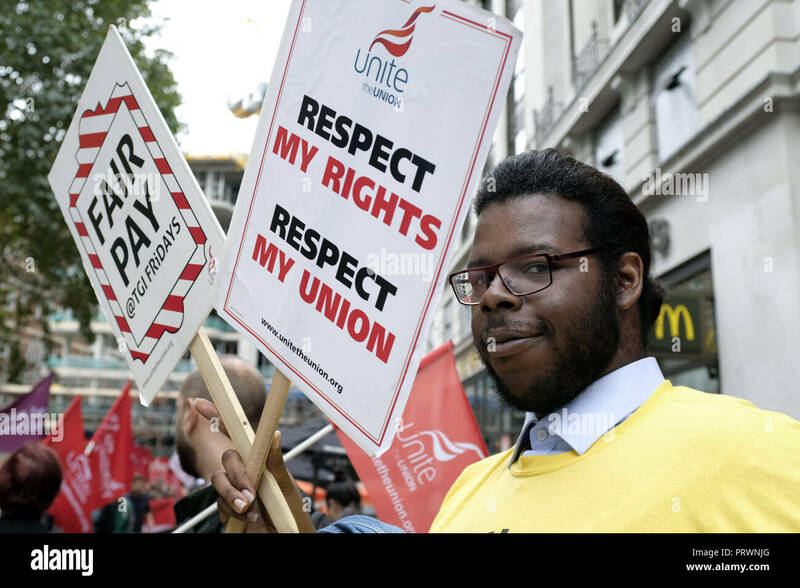 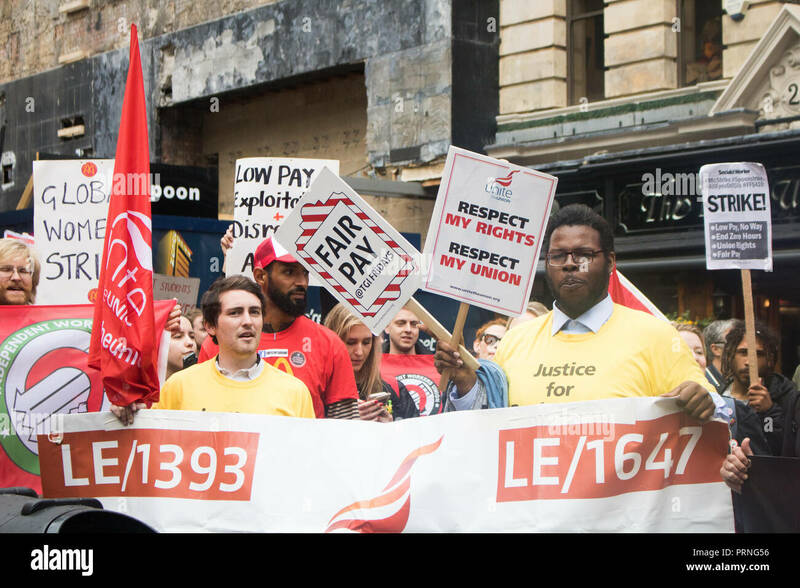 A man seen standing next to a poster saying Respect my rights, respect my Union and Fair pay during the protest. 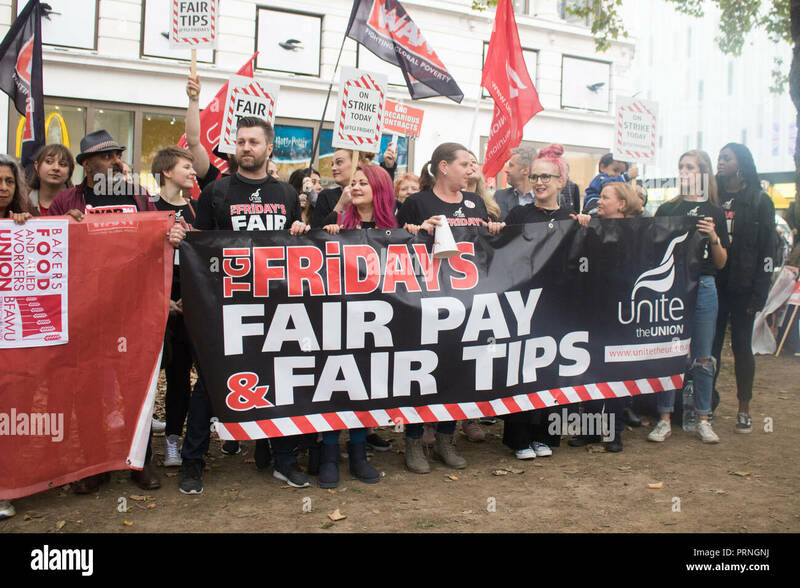 Wetherspoons, TGI Fridays, and McDonald's workers rally together in London to demand better working conditions and a fair pay in the hospitality industry. 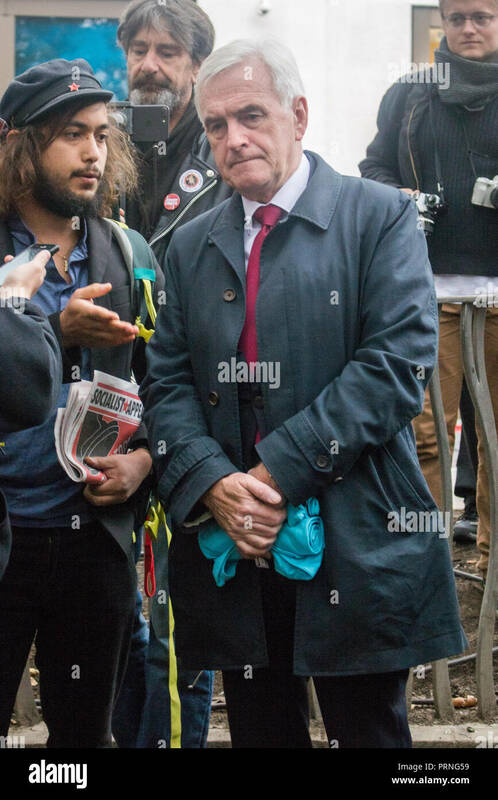 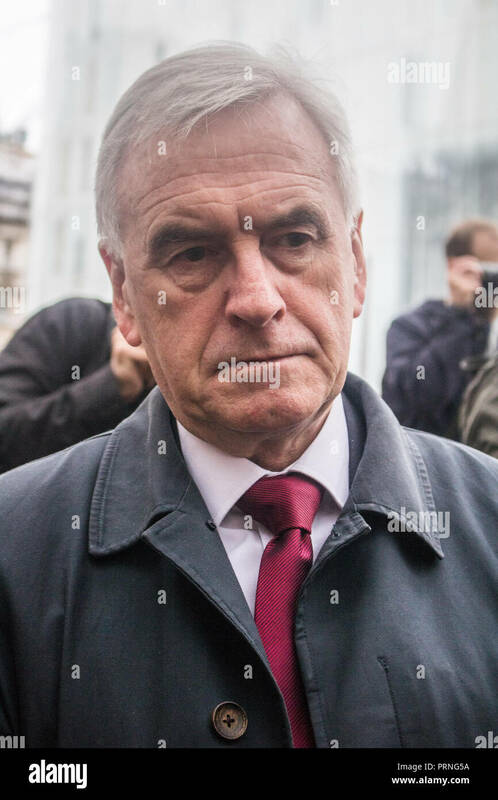 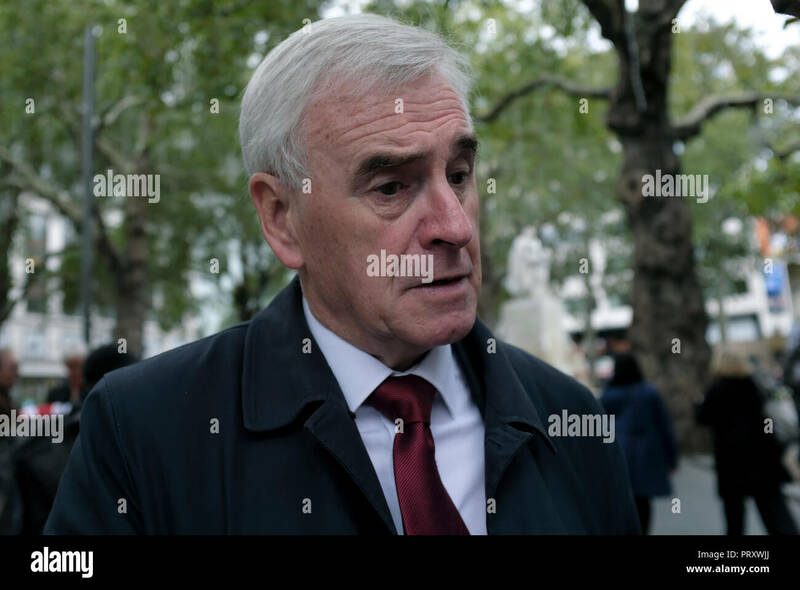 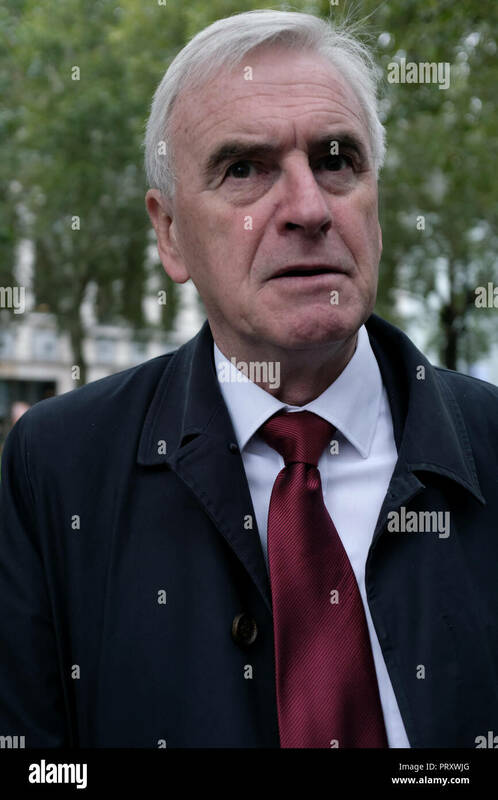 John McDonnell, Labor Member of Parliament seen during the demonstration. 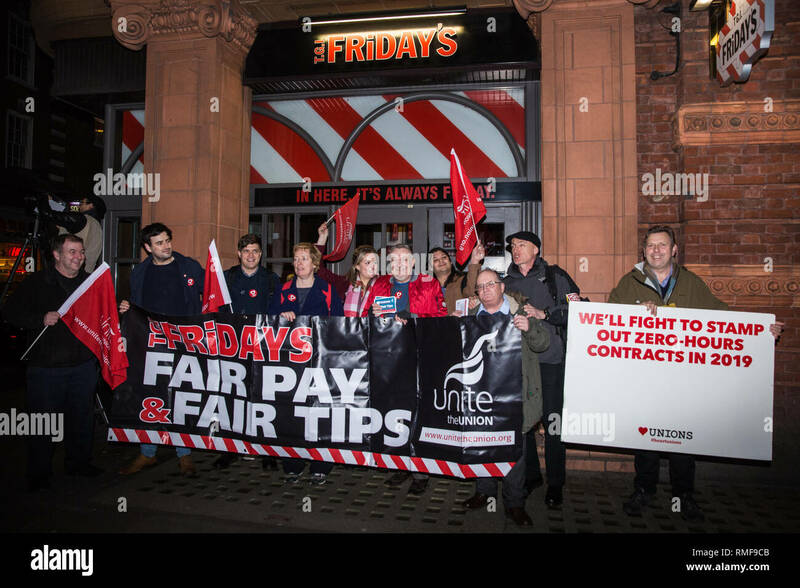 Wetherspoons, TGI Fridays, and McDonald's workers rally together in London to demand better working conditions and a fair pay in the hospitality industry. 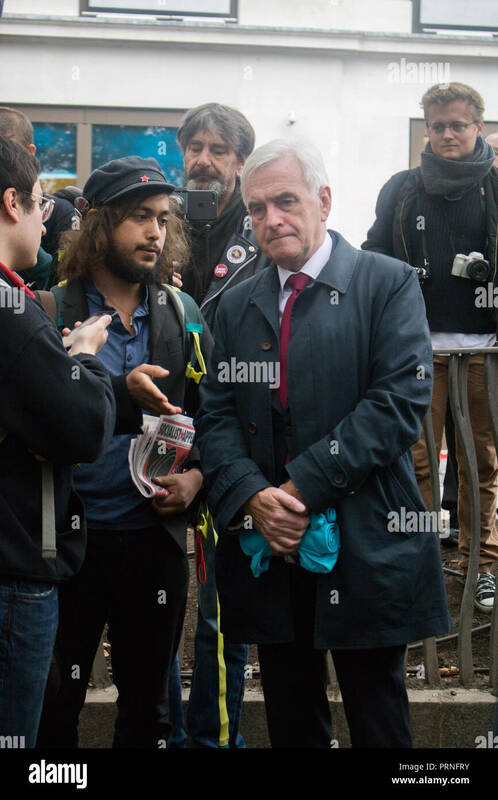 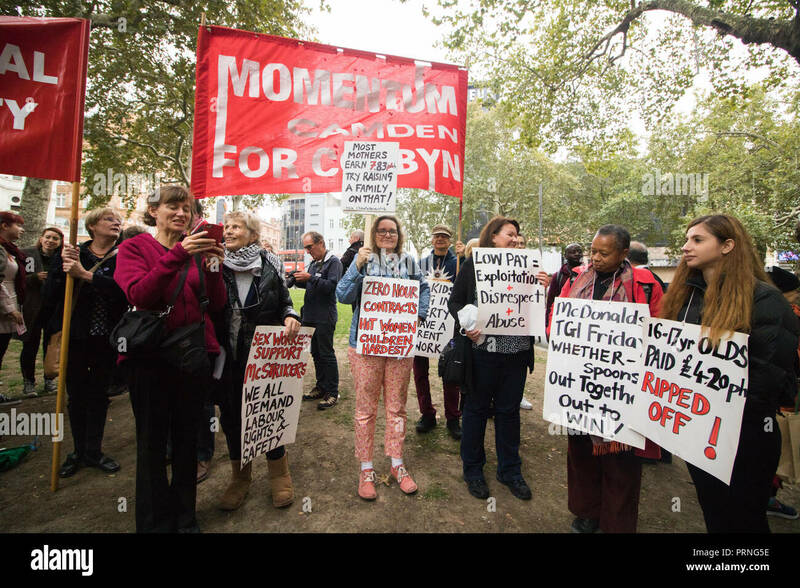 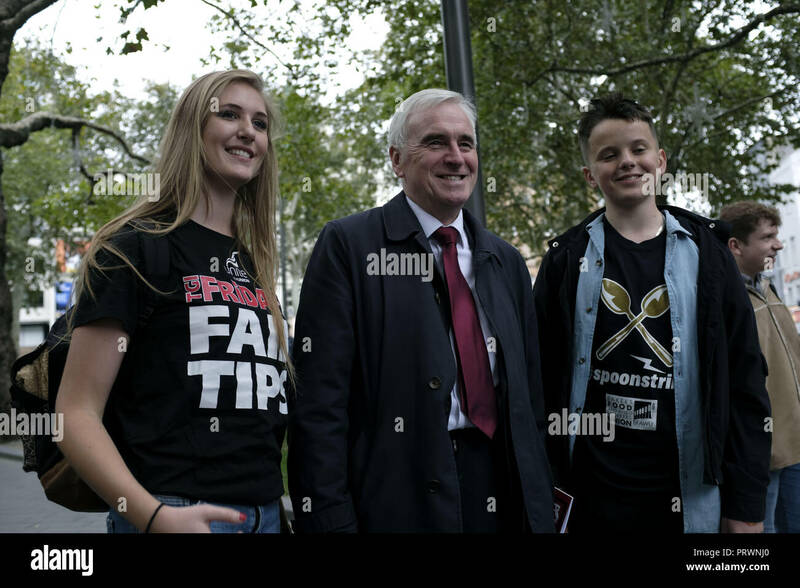 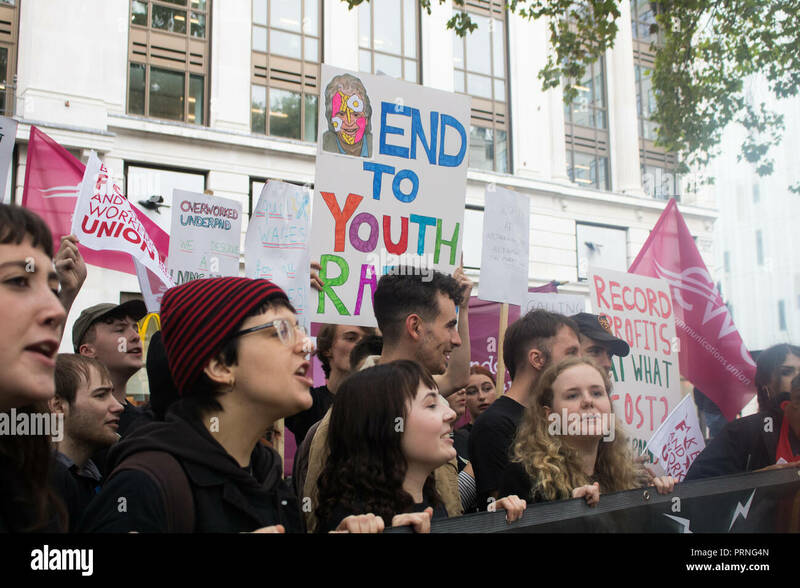 John McDonnell (centre), Labor Member of Parliament seen during the demonstration. 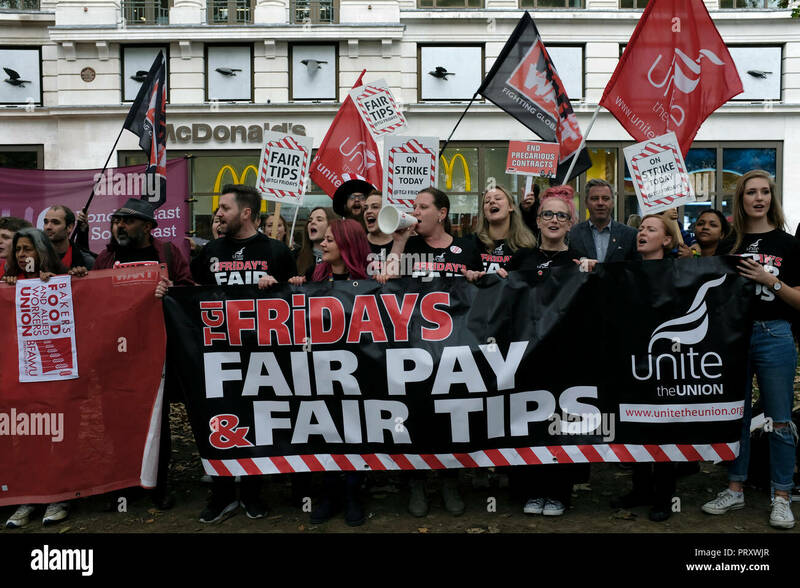 Wetherspoons, TGI Fridays, and McDonald's workers rally together in London to demand better working conditions and a fair pay in the hospitality industry. 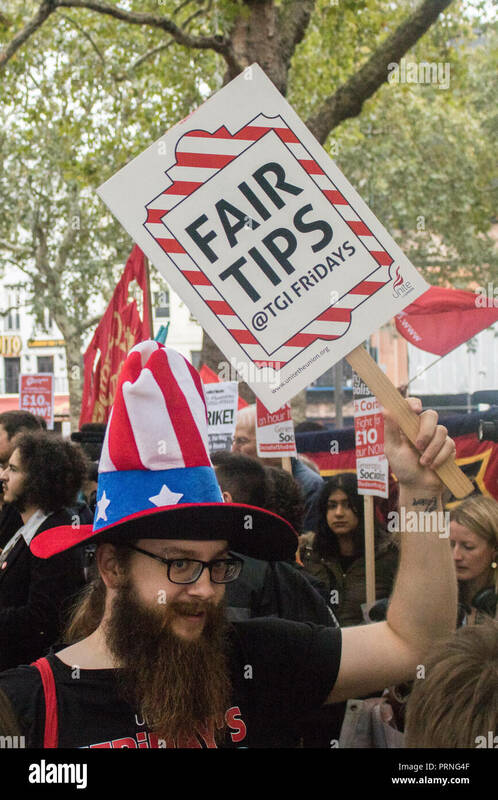 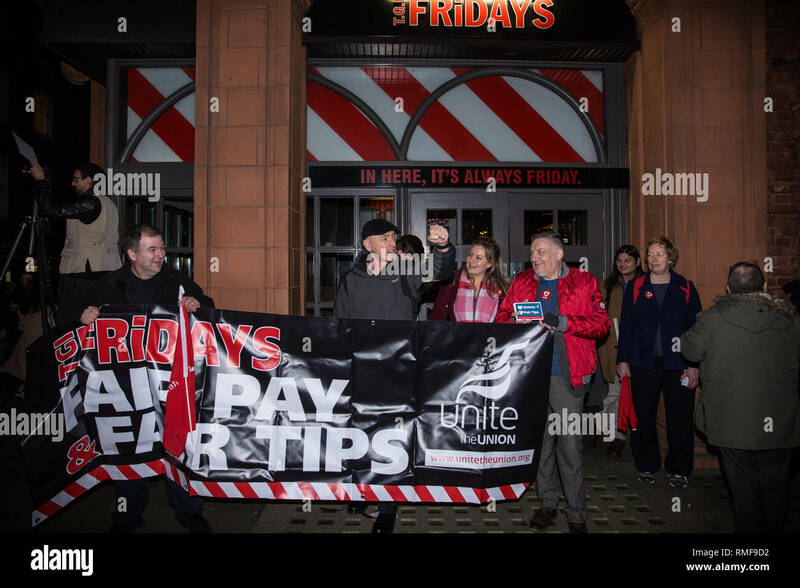 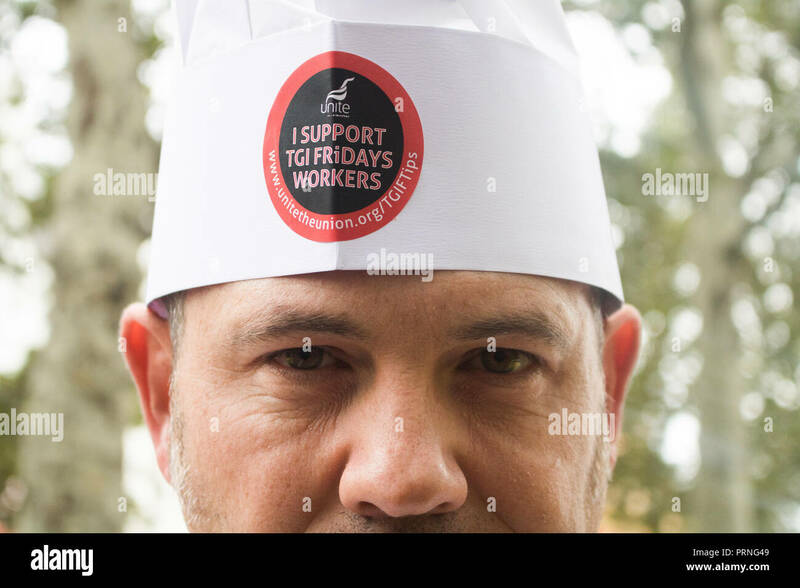 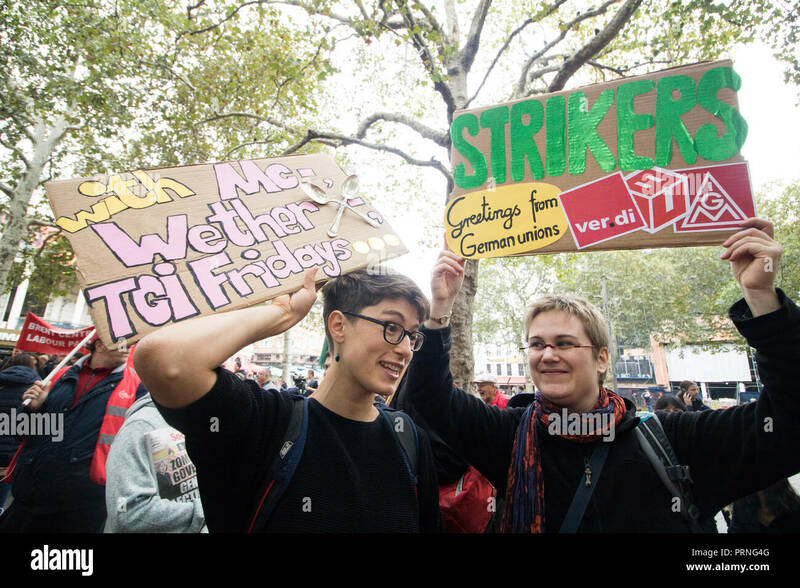 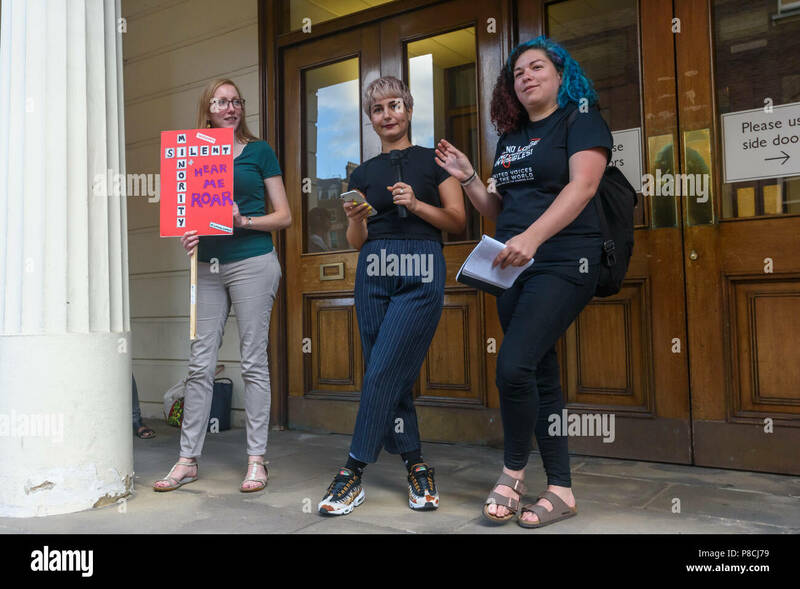 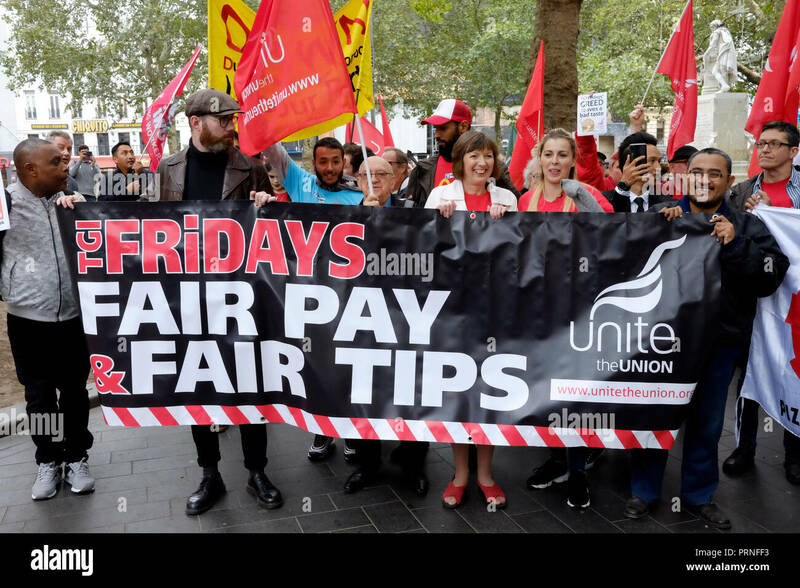 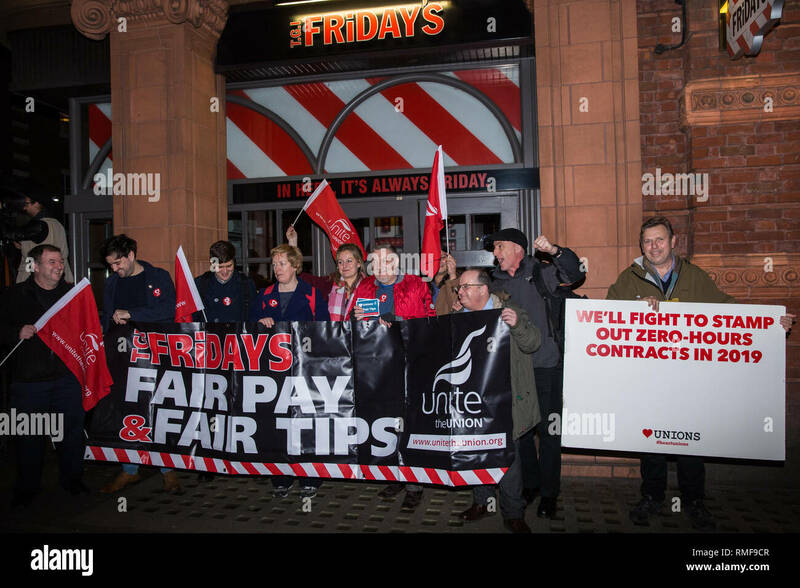 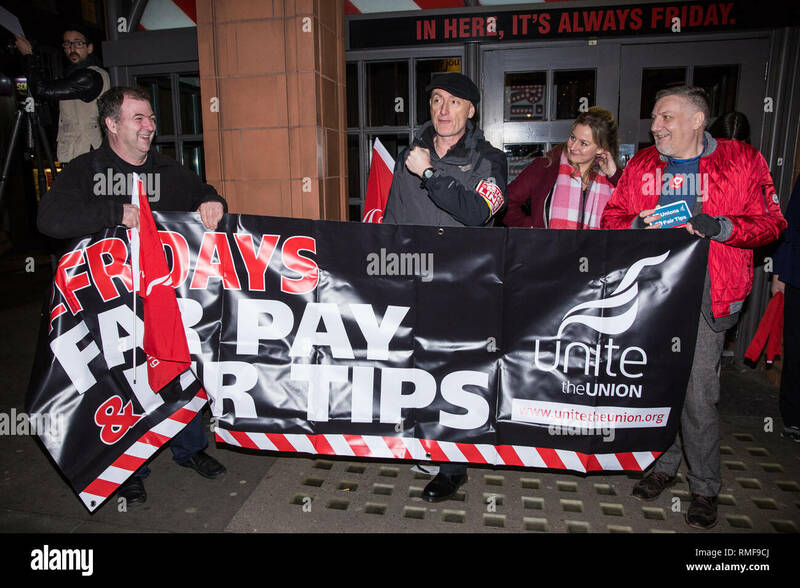 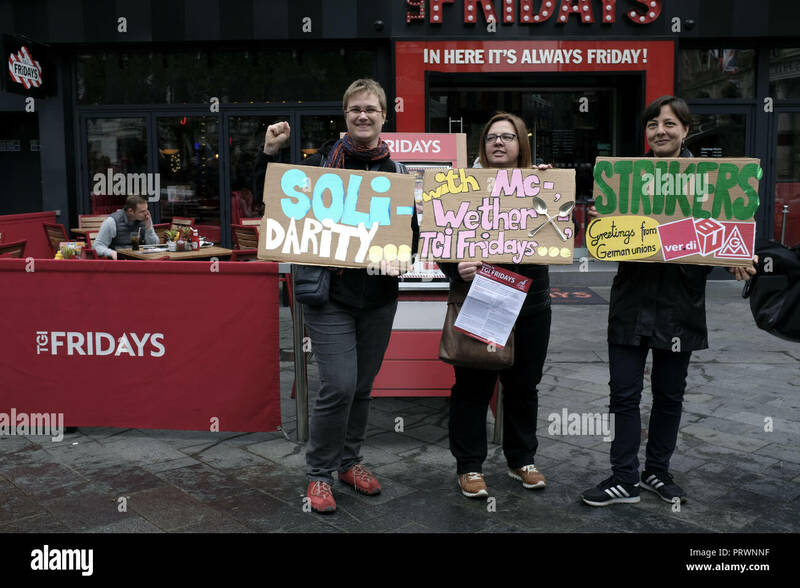 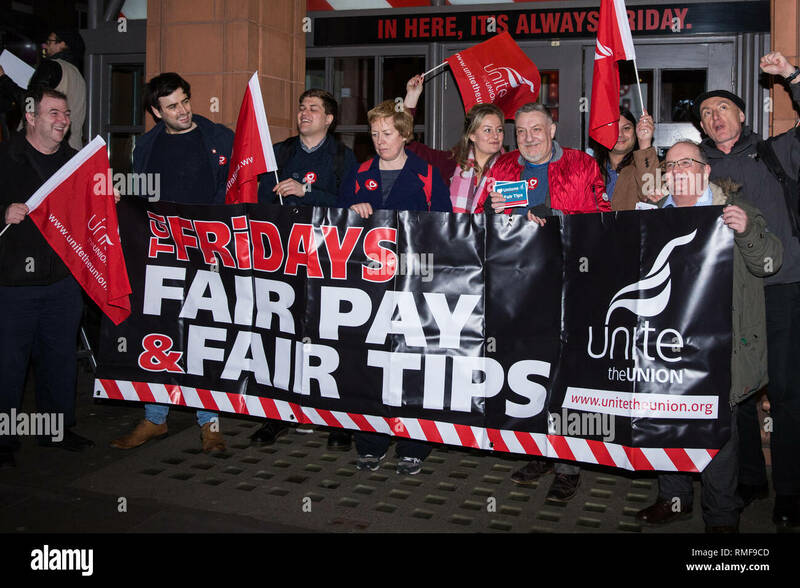 Two women seen wearing black T-shirts with the TGI Fridays logo asking for fair tips in their workplace during the demonstration. 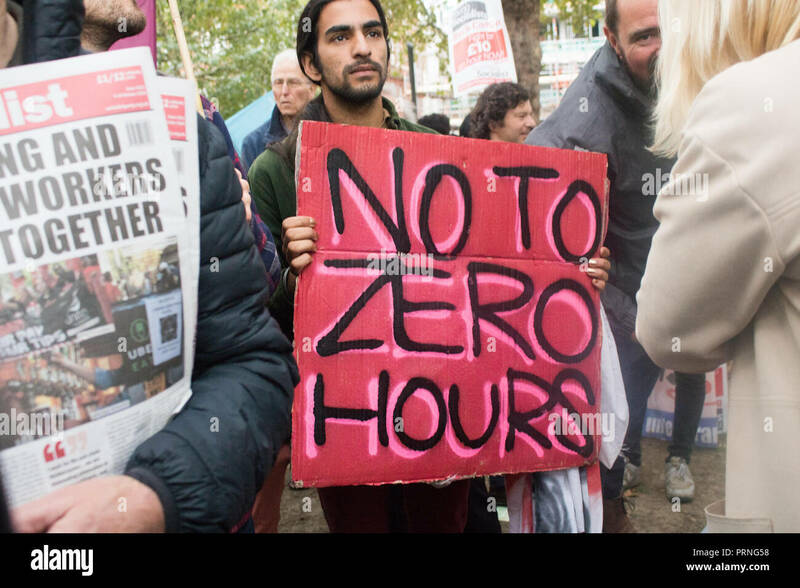 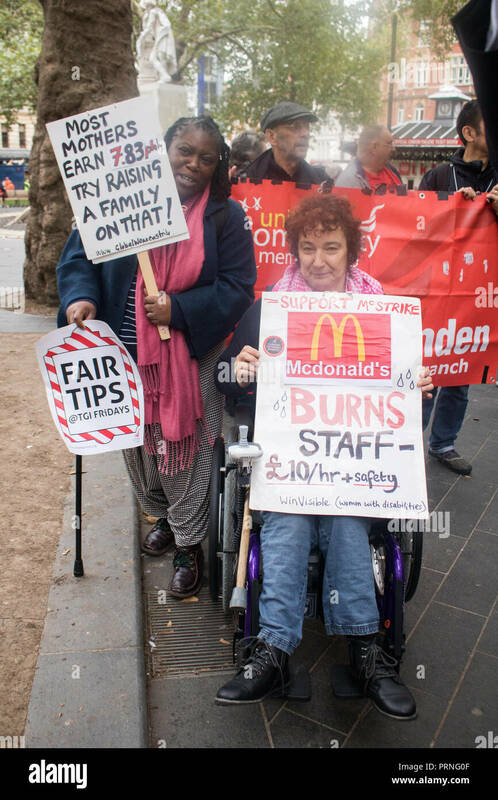 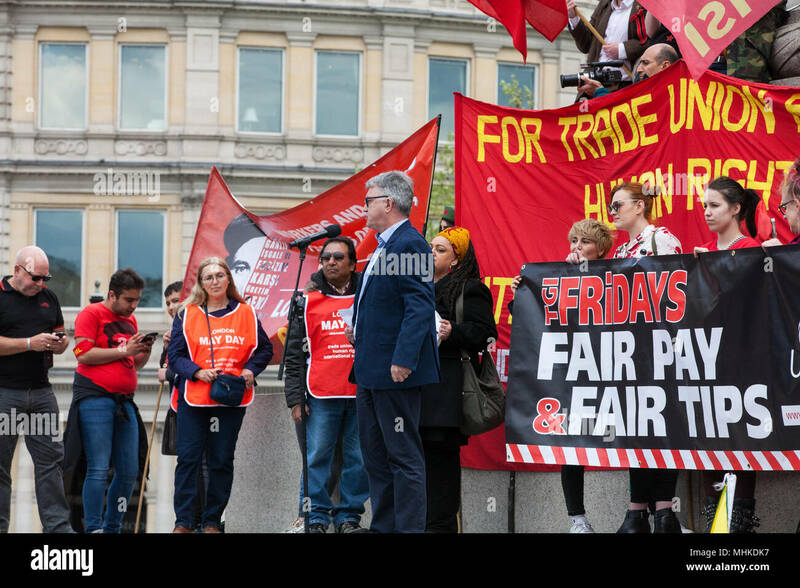 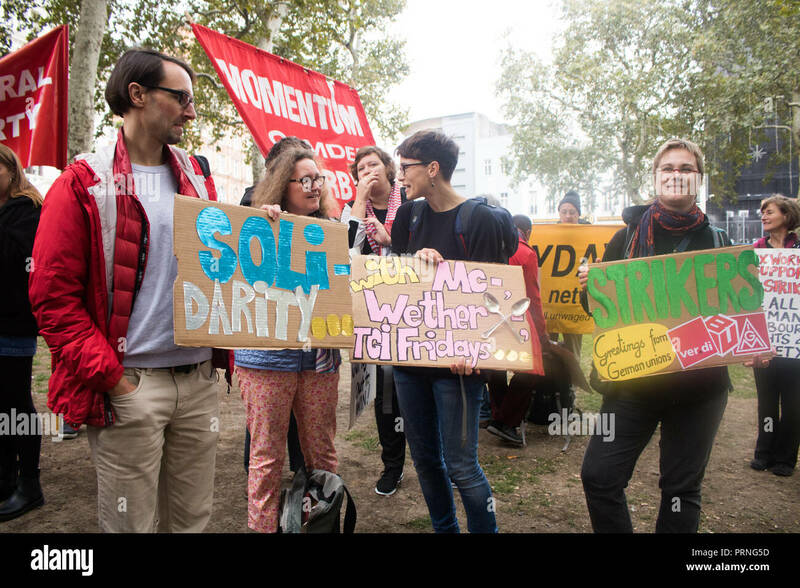 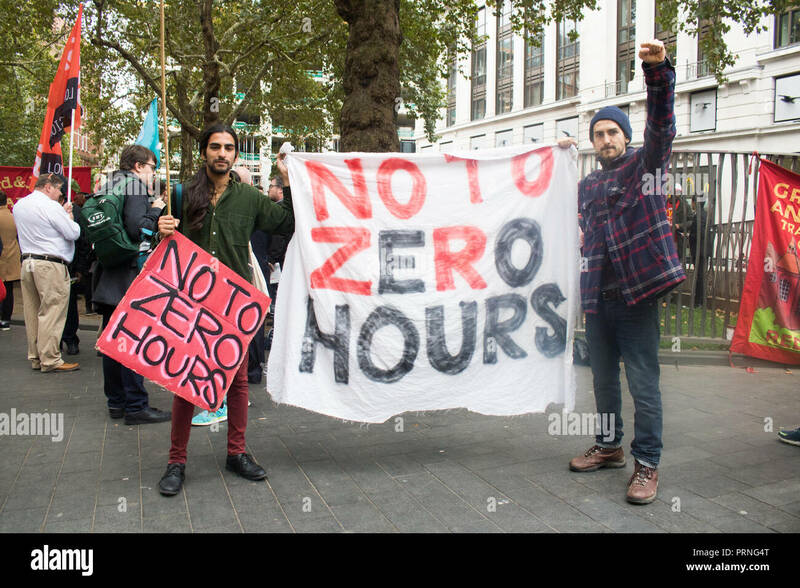 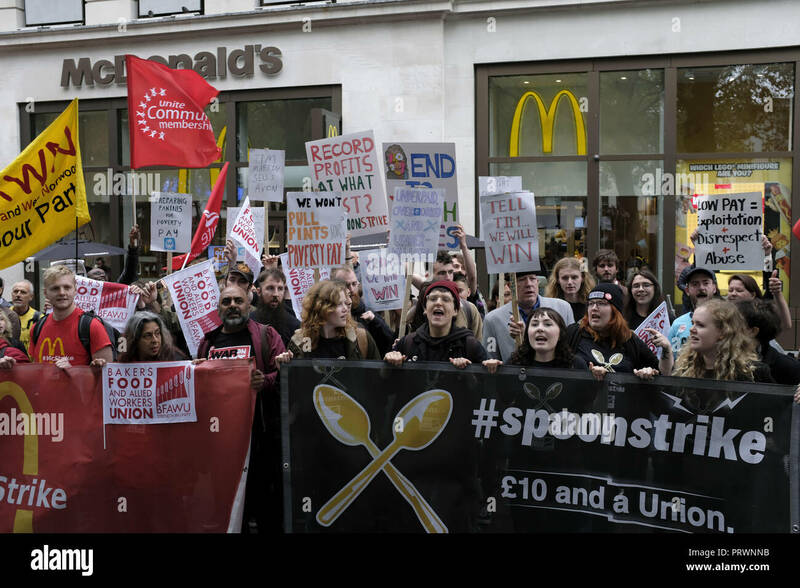 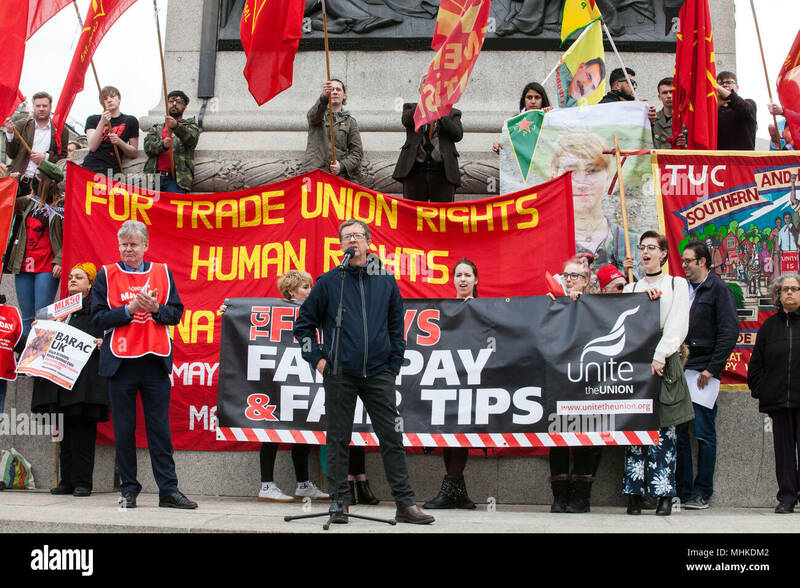 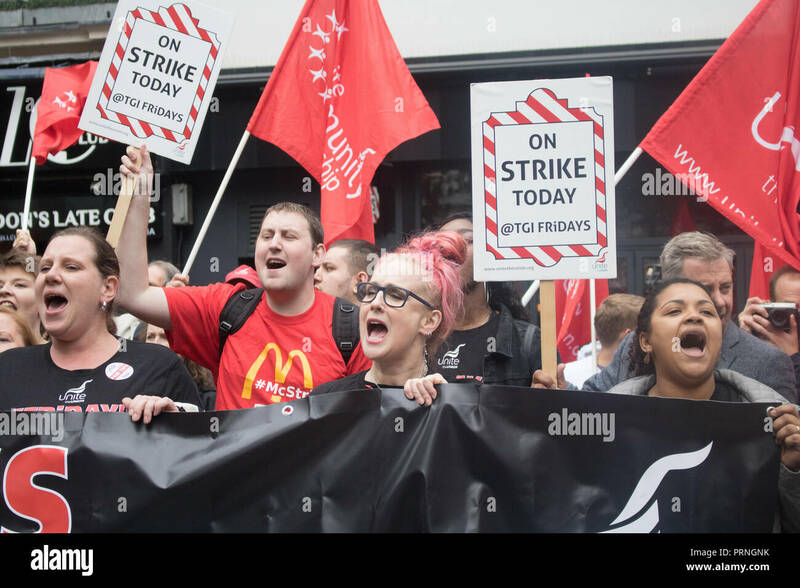 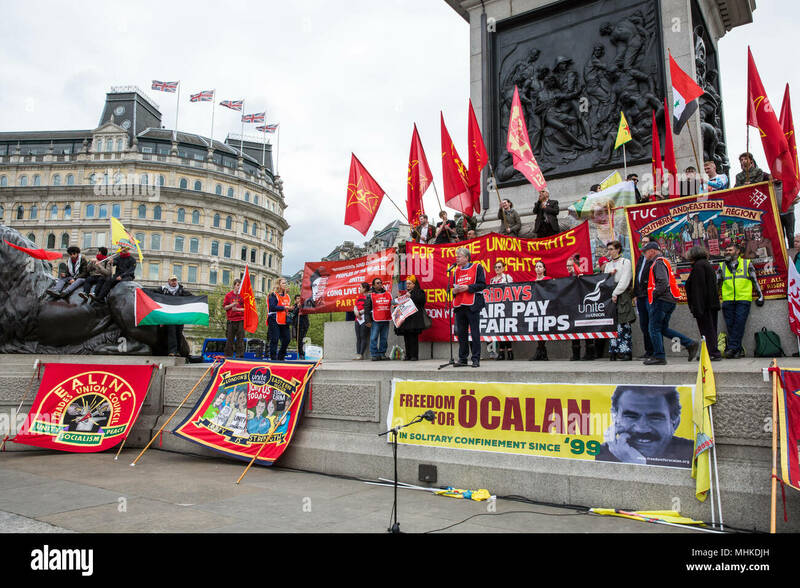 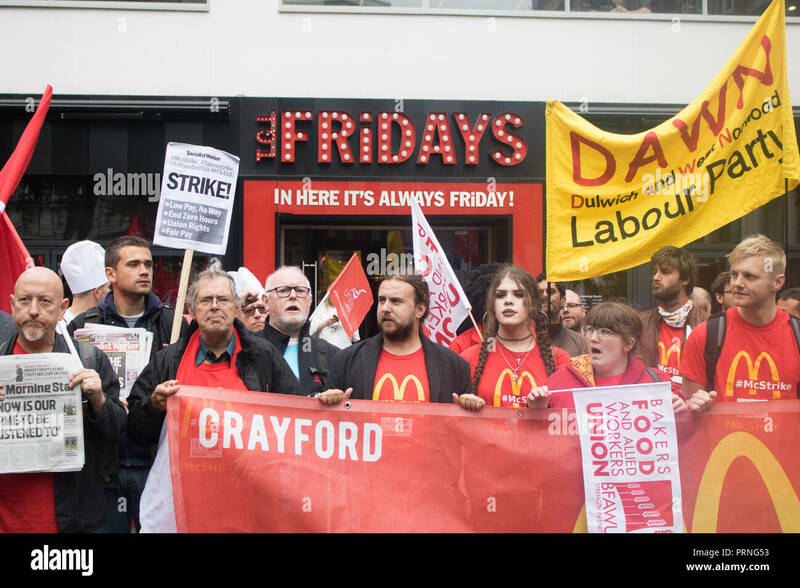 Wetherspoons, TGI Fridays, and McDonald's workers rally together in London to demand better working conditions and a fair pay in the hospitality industry.